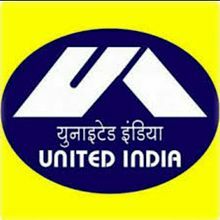 United India Insurance Company (UIIC) Recruitment 2017: United India Insurance Company Limited has announced huge recruitment for freshers and experienced candidates. They have announced vacancies for 696 Assistant Posts. Here we have updated Syllabus, Age Limit, Eligibility Criteria, Exam Fee, Application Processes, UIIC Admit Card Date, UIIC Exam Date, UIIC Result Date and UIIC Last Date Details. Want to know these details? Check below all. United India has been in the forefront of designing and implementing complex covers to large customers, as in cases of ONGC Ltd , GMR- Hyderabad International Airport Ltd, Mumbai International Airport Ltd Tirumala-Tirupati Devasthanam etc. We have been also the pioneer in taking Insurance to rural masses with large level implementation of Universal Health Insurance Programme of Government of India & Vijaya Raji Janani Kalyan Yojana ( covering 45 lakhs women in the state of Madhya Pradesh) , Tsunami Jan Bima Yojana (in 4 states covering 4.59 lakhs of families) , National Livestock Insurance and many such schemes. Graduation details: Aspirant should complete Any Degree or equivalent from a recognized Institute. Refer more details on Eligible to Recruitment 2017. Age limit range: 18 to 28 years. The Upper age limit is relaxed by 5 years for SC/ST; 3 years for OBC, 10 Years for Persons with Disabilities (15 years for SC/ST PWD’s & 13 years for OBC PWD’s) and for Ex-S as per Govt. of India rules.